Gritty steampunk backgrounds and seamless tiles with a touch of goth. They hold the elegance of the past and the mystique of the future. 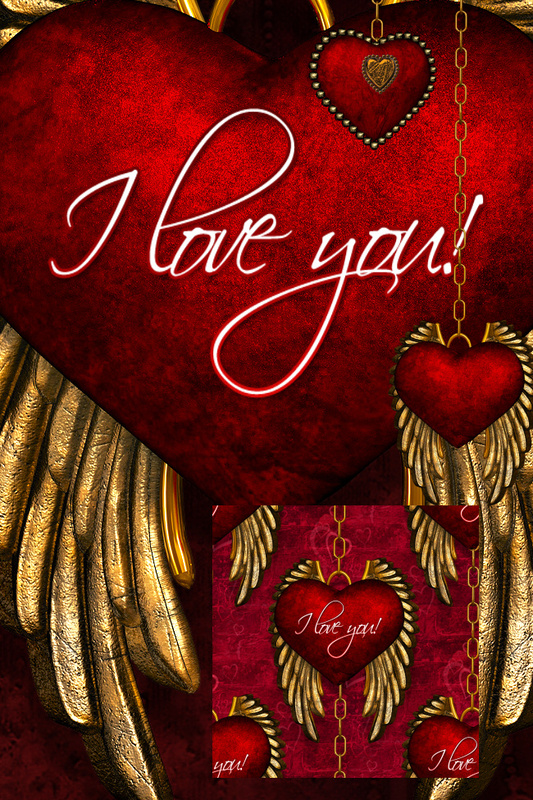 They will help you express your love this Valentine’s Day. And they will inspire romantic dreams. Blank versions of each and two seamless tiles are included. 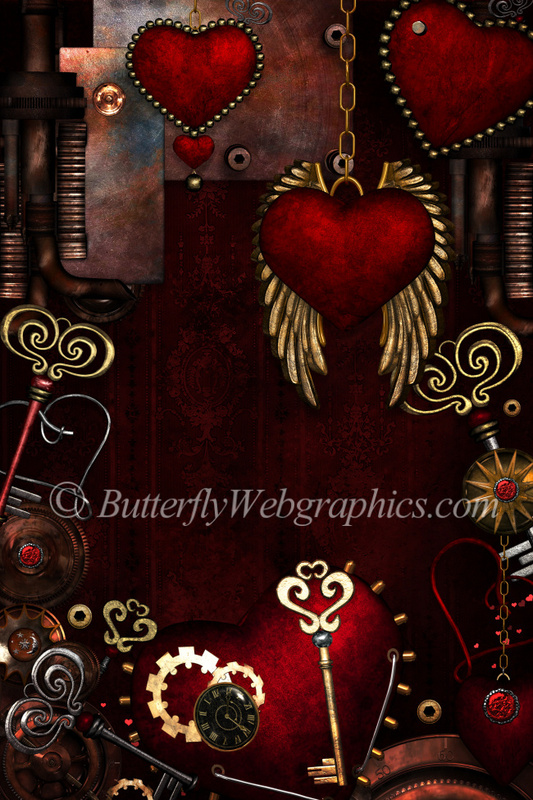 Gritty Steampunk for your Valentine’s Day designs! Unique steampunk backgrounds that are gritty yet elegant. They also hold a touch of Goth. They’ll inspire you, will send your heart traveling to another time, another place, to a romantic world of your own making. They are bright and stunning–futuristic and antique all in one. There are four finished backgrounds and four “blank” backgrounds, which you can decorate to your delight. All of the backgrounds are 2400 X 3600. 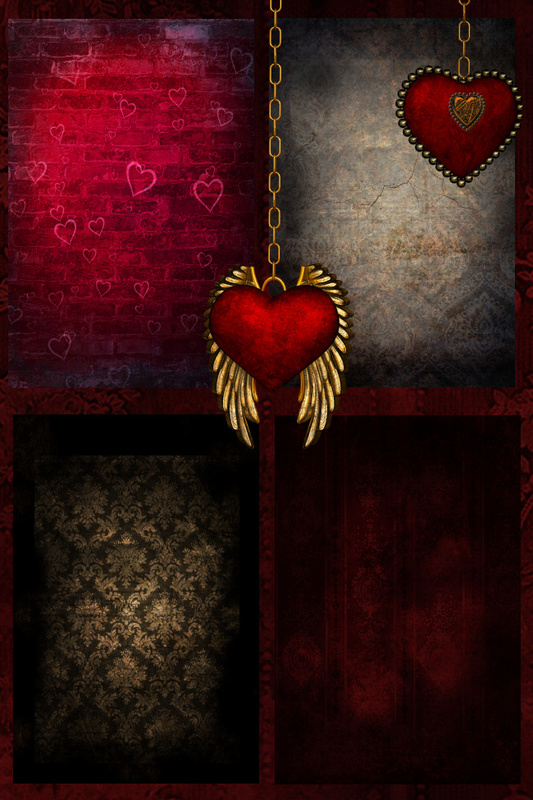 I threw in some hanging hearts that I used in the backgrounds for your convenience. I’ve also included two background “overlays” with transparent backgrounds. Basically, they’re the full size prop groupings without the backgrounds. This way, you can add a background of your choice to create a unique background. This package also has several complementing seamless tiles, including the one on this page. Two have transparent backgrounds so that you can add whatever background you desire. Use them as textures, for flood fills, to create papers, etc. 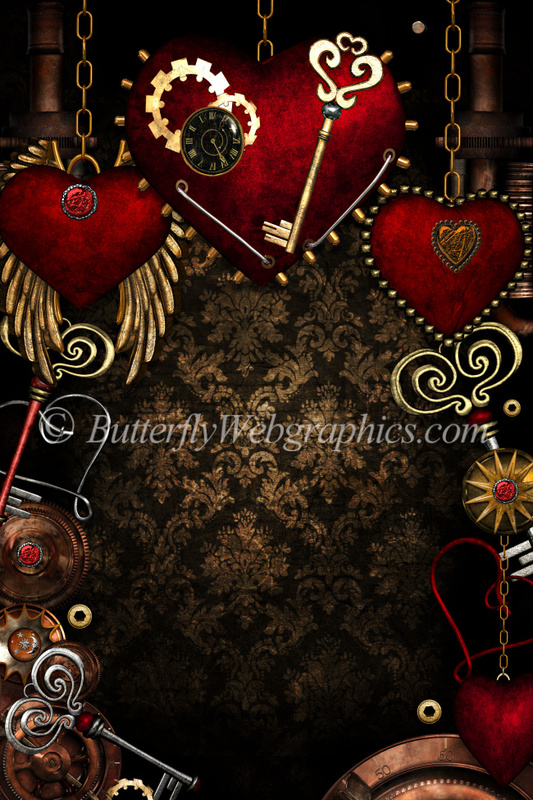 I used images from my various Steampunk and Valentine packages to create these designs, including my Steampunk Clock graphics package and my Key to My Heart package. 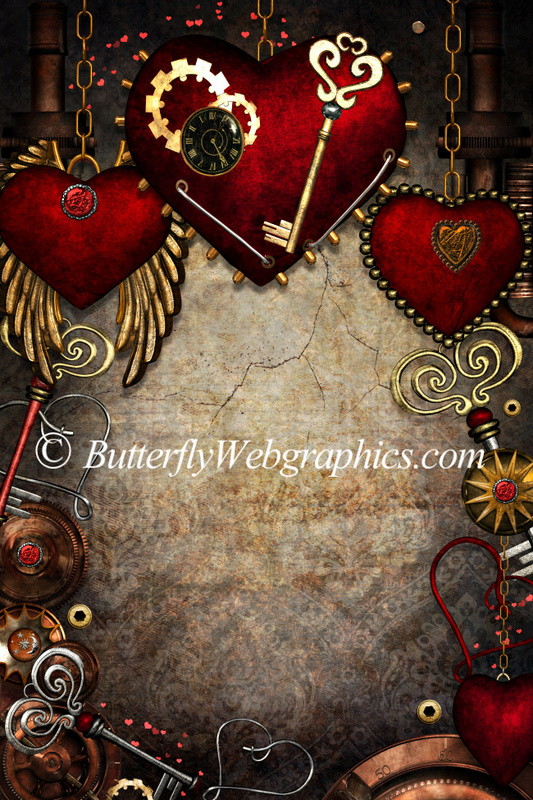 These backgrounds will be great for countless Valentine’s Day, romance, or Steampunk designs. 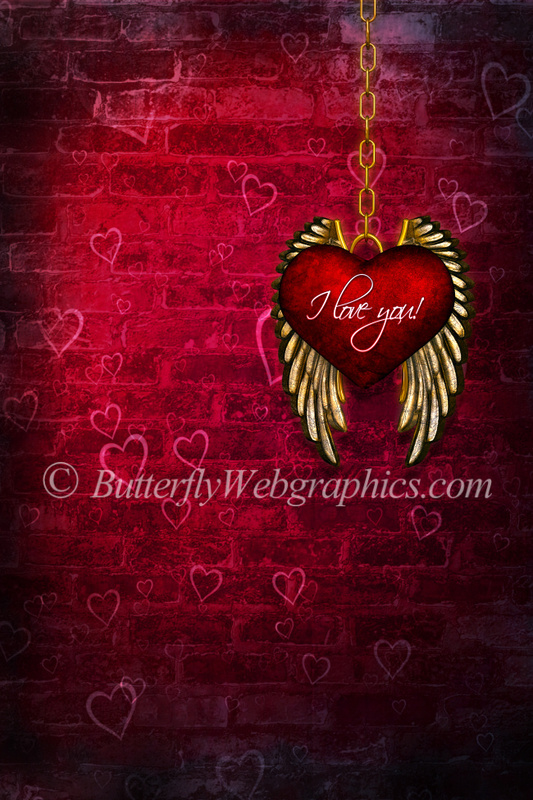 Use these images for scrapbook pages, cards, tags, a background for your artwork, or for countless other projects. The size of these backgrounds are 2400 X 3600, but the size of the other graphics in this package varies. All are 300 DPI, making them great for print projects. This package is two zip files, which are about 60-70 MB each.